Currently baking up a storm as I am at home with a fully stocked kitchen! This week I made Zucchini Bread from the Morning Glory Farm Cookbook (the farm and farm stand we visited on Martha’s Vineyard). It was almost as good as the bread we bough from the farm, almost. Preheat oven to 325 degrees and spray two 9×5 inch pans with nonstick. Shred the zucchini and place it into the stand mixer bowl. Add vegetable oil, eggs and vanilla and mix. Once creamed add in sugar. In a separate bowl combine flour, baking soda, baking powder, salt and cinnamon. Add the dry ingredients to the mixture. Mix batter until it is well blended. Pour and divide evenly into the two pans. Bake for 50-60 minutes. Enjoy! 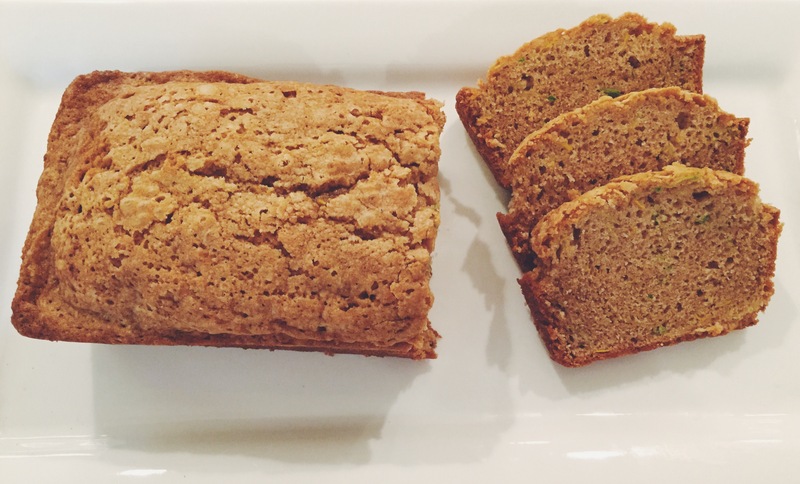 This entry was posted in baking and tagged bread, morning glory farm, zucchini bread. Bookmark the permalink.